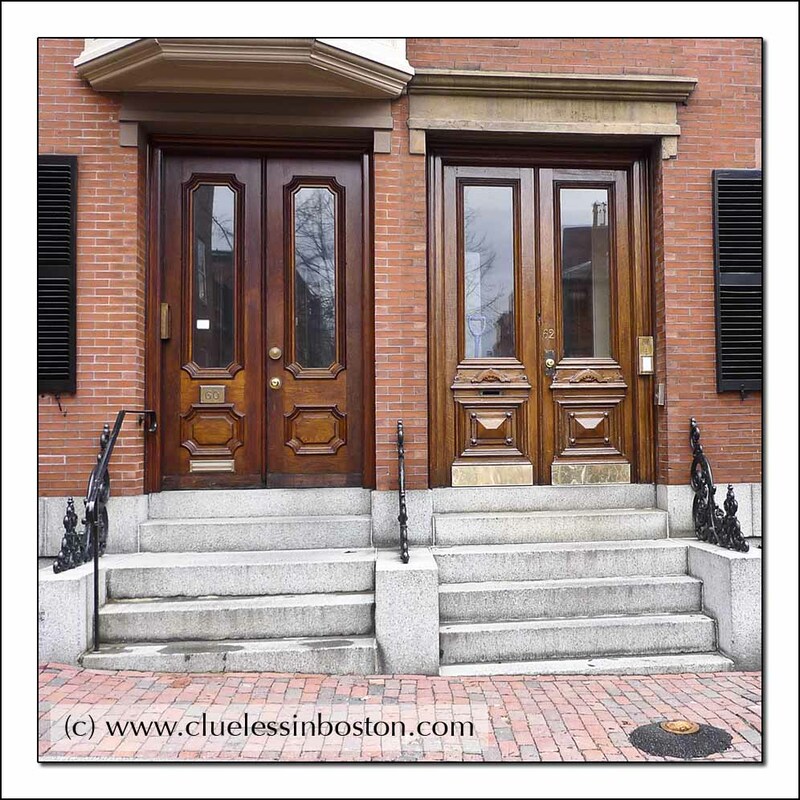 Double doors on Pinckney Street, Beacon Hill. Wow -- good lookin' doors! If doors had genders, I'd say one of these was male, one female. Those are good. I will think of these as fraternal doors, not identical doors. Beautiful doors...at first I thought they were the same, but the differences are striking and make each one quite unique!